It has been highly reported that biotechnology company Monsanto made attempts to hide the true impact that toxic polychlorinated biphenyls (PCBs) have on the environment, which has led numerous cities to file lawsuits against the company. Now, new research has surfaced on the true effects behind Monsanto’s PCBs and their impact on wildlife. 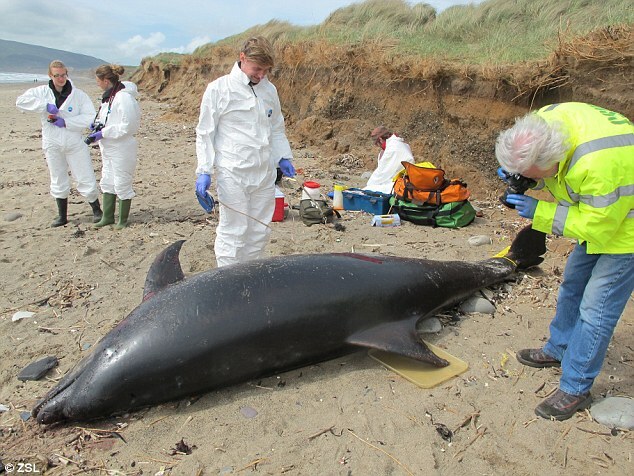 The PCBs have been putting European killer whales and bottlenose striped dolphins at risk. A recently-released study says that the PCB-contamination of the dolphin and whale’s habitats have caused entire populations to suffer. The exposure to PCBs is causing them to become reproductively-stagnate. In other words, the chemicals are causing reproductive impairment. Some scientists warn that some of these animals could experience serious damage if something isn’t done. A pod of killer whales off the coast of the UK has dwindled to just 8 individuals and has reportedly not given birth to a calf since 1992. In the study, published in the journal Scientific Reports, tissue samples from 1,081 marine animals, including killer whales, harbor porpoises and striped and bottlenose dolphins were taken. Researchers found unprecedented levels of PCBs in the tissues, even though PCBs have been banned in the UK since the 1980’s. Bottlenose, striped dolphins and killer whales had amounts of the chemicals in their bodies that far surpassed the levels known to cause health problems such as reproductive failure. 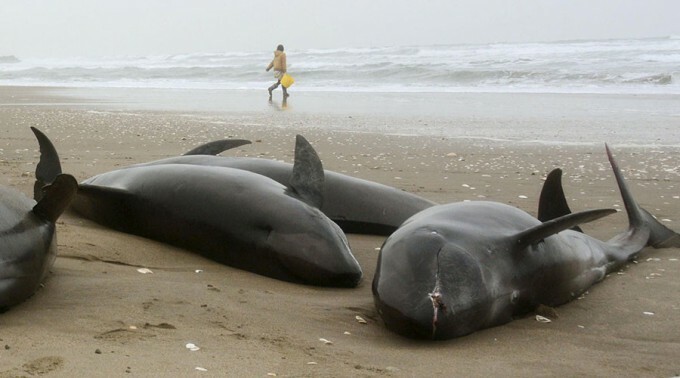 As larger mammals eat prey that also have PCB contamination, they then become subjected to a process called bioaccumulation. Female dolphins even pass along the chemicals to their offspring when they nurse them. Since much of the contamination is stored in the animal’s fat, the new calf becomes especially vulnerable as it sips from its mother’s PCB-contaminated fat stores. The UK’s killer whales, which are known to consume a lot of seals, showed PCB levels in excess of 250 milligrams per kilo of fat, Jepson said, while killer whales off the Iceland and Norwegian coasts, which consume mostly herring, showed only 25 milligrams per kilo. Some marine mammal populations off coasts of Spain, Portugal, and France are also failing to reproduce. About 1.1 million tons of PCB-contaminated materials in the European Union still await proper disposal.